El Gran Combo de Puerto Rico, commonly known as El Gran Combo, is a Puerto Rican salsa orchestra based in San Juan, Puerto Rico. Celebrating its 50th anniversary in 2012, it is Puerto Rico’s most successful musical group, and is considered “the most popular Salsa group that has ever existed”. The group received the moniker La Universidad de la Salsa (The University of Salsa) in Colombia, due to the sheer number of famous salsa musicians and singers who developed their careers with it, who started with the group (particularly Andy Montañez), or who were occasionally backed up by the band (including Celia Cruz, Héctor Lavoe and La India). The salsa orchestra was founded in May 1962, by Rafael Ithier. Ithier is still nominally its musical director, and is the only remaining members from the band’s original lineup. As of 2010, Willie Sotelo, who joined the group in 2006 as pianist, has become the band’s de facto musical director on tours, with Ithier conducting the group and playing occasionally in select live performances. They are still actively performing after 50 years together. 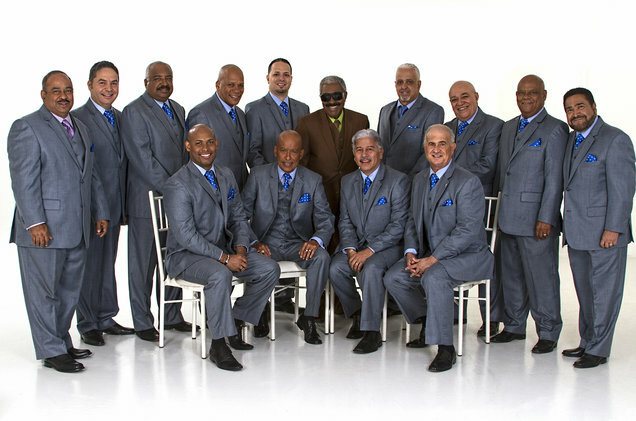 The group was scheduled to celebrate its 50th anniversary on 11 November 2012 at the Coliseo de Puerto Rico. The group started its celebration with a grand world tour that took them to five continents. On November 20, 1963, El Gran Combo released their first group album, Menéame los mangos, with Joseito Mateo as lead singer. Later came Acángana This album became a number-one hit in New York City, Panama and Puerto Rico. Their success opened doors for them in many Latin American markets and they gained an exclusivity spot on the Puerto Rican television show El Show de las 12. The album also reached gold status. On 1964, trumpet player and arranger Elías Lopes joined the orchestra, coinciding with the group’s first popularity wave. With their daily TV appearances and extensive touring, however, demand for the group declined due to overexposure. Still, in 1967, their album Boogaloo con el Gran Combo also reached gold status. In 1969, Roena and Lopes left the orchestra to form the Apollo Sound together. Despite all this, that same year the group was awarded an Agüeybana de Oro in Puerto Rico. Also, in 1969, Rafael Ithier hired dancer/choreographer Mike Ramos to implement dance routines, which became a signature of El Gran Combo’s live performances. Mike came from the world-famous New York City Palladium Ballroom scene. Prior to joining El Gran Combo, Mike danced along Tito Puente Orchestra and Perez Prado Band among others. In 1970, El Gran Combo’s contract with Gema Records was not renewed. Despite offers from other record companies including the Motown label, the group decided to self-release recordings under their own newly created independent label, Combo Records (alternatively known as EGC Records). The first album released on the label was the 1970 album entitled Estamos Primeros. On February 15, 1970, the members of El Gran Combo shared a near death experience. They were at Venezuela, and scheduled to fly the following day to Las Américas International Airport in Santo Domingo. After landing they were told about the Dominicana Airlines DC-9 that crashed off the Caribbean coast which occurred the night before. Therefore, the tale about a group member having a bad feeling regarding that flight while stranded at the Santo Domingo airport is not entirely true, since they did not arrive there until the day after the crash. In 1971, El Gran Combo introduced the trombone to their instrument mix. The trombone was played by Fanny Ceballos. Soon after, their production named De Punta a Punta was released. In 1972, they released the album “Por el Libro”, which marks the 10th anniversary of the orchestra. Pellín Rodriguez left the group to embark on a solo career. Rodríguez was replaced by Charlie Aponte at the recommendation of Jerry Concepción and the well known sportscaster Rafael Bracero, both friends of Ithier. Montañez left the band in early 1977 and went to live in Venezuela where he replaced Oscar D’León in another orchestra, Dimension Latina. Jerry Rivas was then chosen to join the orchestra. Both Rivas and Aponte are still members of the orchestra to this day. The success of this new duo was proved with their 1977 album International and 1978’s En Las Vegas which reached gold record status. In 1966, En Navidad, a Christmas album, was released, with Martín Quiñones appearing as Santa Claus in the album’s cover. After an automobile accident in early 1977, Quiñones was replaced in the band by his son, Martín Quiñones Jr. He stayed until 1979, being replaced by Luis Díaz.